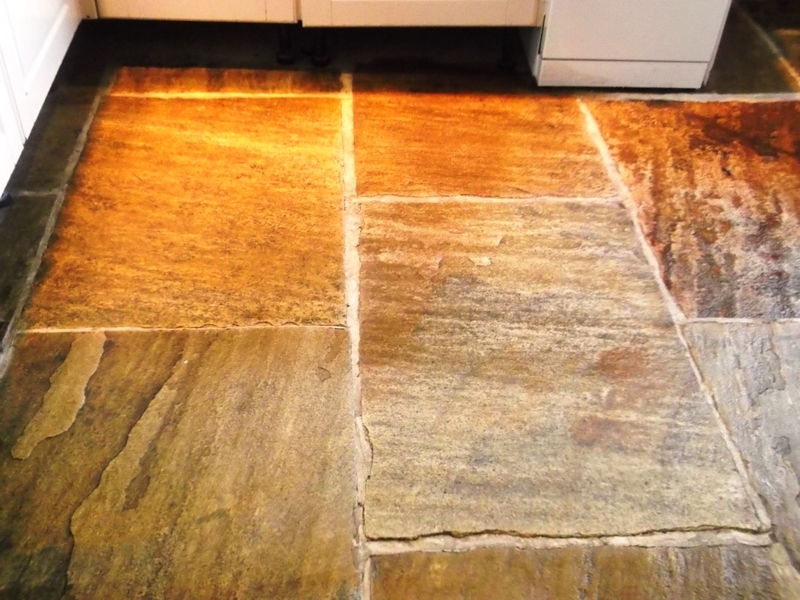 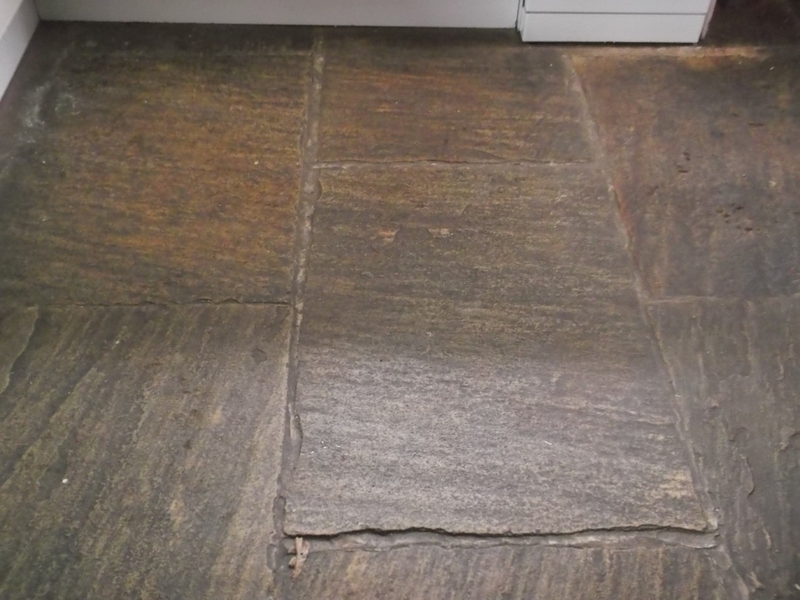 This sandstone flagstone floor measured around 15m2 and was installed in a house in the village of Boxford, Suffolk, you can see how dark the stone had become from the build-up of dirt and soil over time, clearly they were in need of a deep clean and seal. 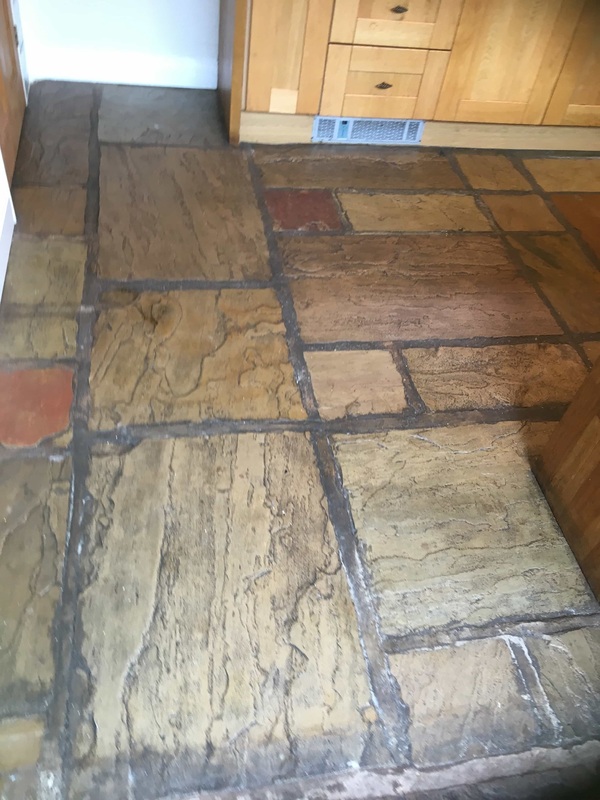 We cleaned the floor using Tile Doctor Pro-Clean diluted with 10 parts warm water and worked in using a Black Scrubbing pad. 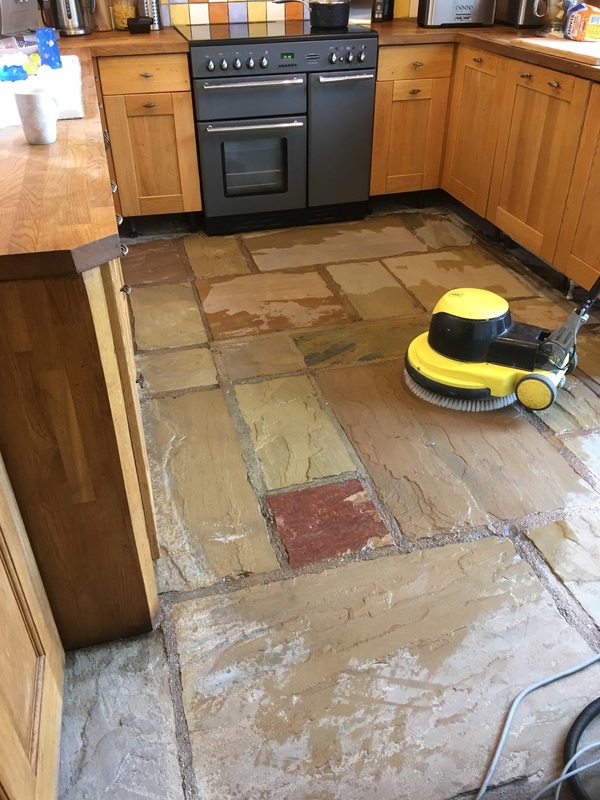 This action certainly gave the floor a good clean but there were some staining that was proving stubborn to shift so we tried a stronger product called Remove and Go combined 50/50 with NanoTech UltraClean which add nano sized abrasive particles into the mix. 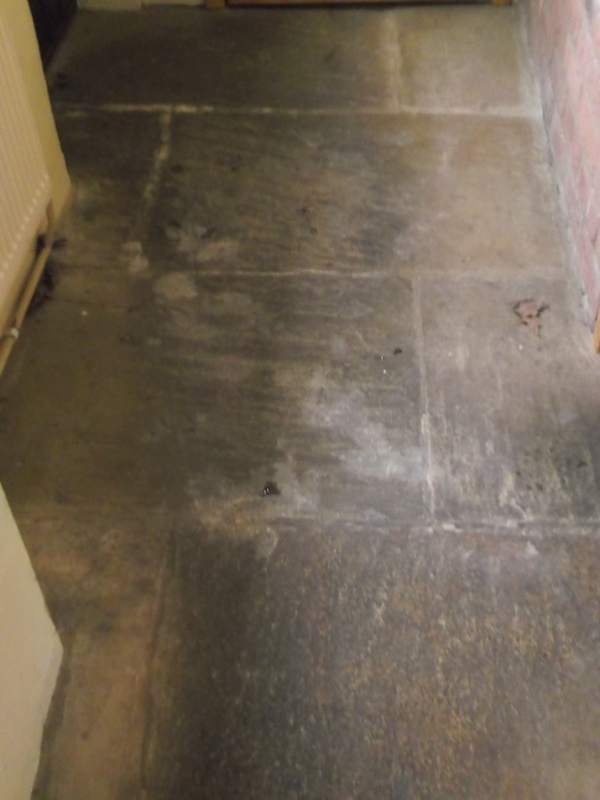 We left the resulting formula to soak into the sandstone for about a while and then used a steam to penetrate deep into the pores of the stone and lift out the dirt, this did the trick and so we then removed the cleaning products with a wet vacuum and washed down the floor with clean water to neutralise the floor before sealing and left for the evening so the floor could dry overnight. 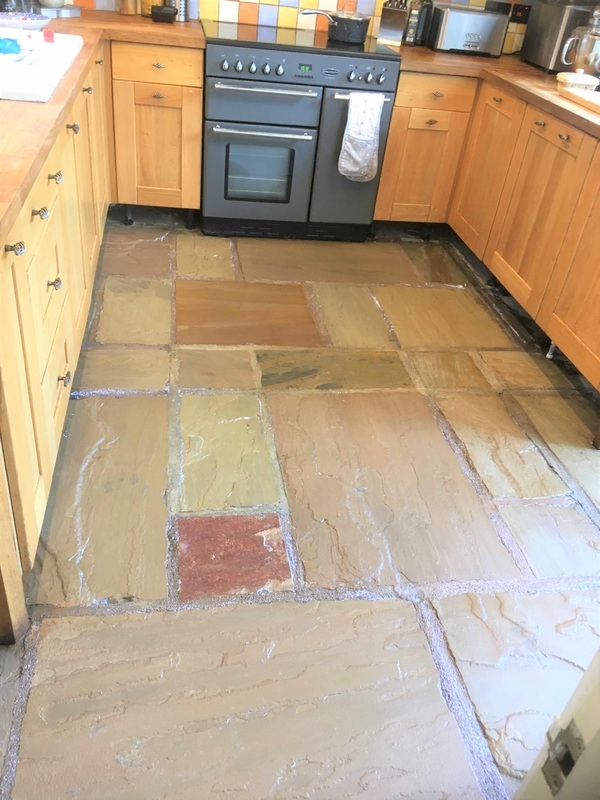 We came back the next day, the floor had dried overnight so we proceeded to seal the Sandstone with Tile Doctor Seal and Go which gives a nice low sheen finish; Sandstone is fairly porous so it took five coats of sealer in the end. 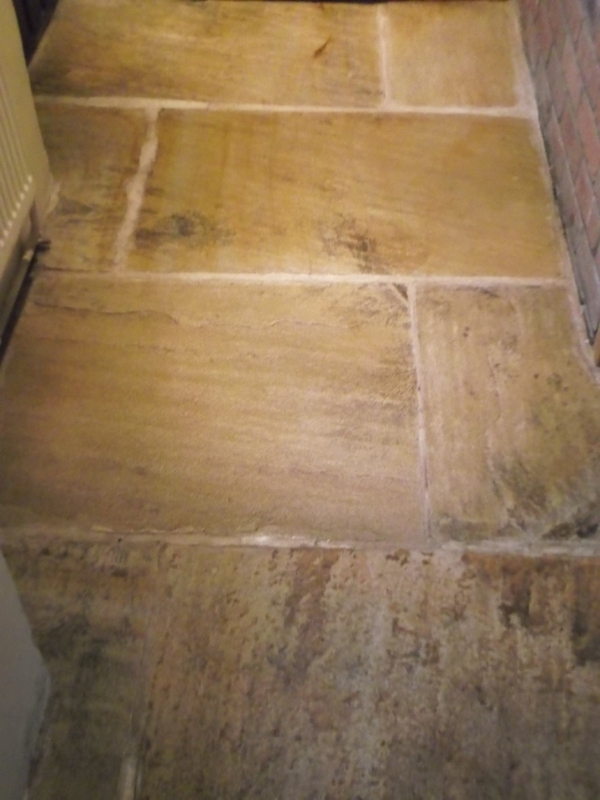 Seal and Go is a topical sealer which works well on Sandstone to really bring out the veins and natural colour in the stone, it also leaves them a lot easier to clean as flagstones invariably have a rough riven surface.